Hybrids are stepping stone vehicles until electrics become completely useable. Now, with 250 mile plus range and supercharger stations covering the US an electric vehicle can (almost) replace all of your vehicles. There are no current electric pickups available for delivery as of writing which could be used for construction or other errands. Customers and now manufactures are starting to realize BEV (Battery Electric Vehicles) have simplicity advantage over hybrids. Combining gas and electric motors increases the potential long term expense of the vehicle by adding a gas engine and all its complexities to a simple electric motor. Aside from the coolness and technological advancements of Tesla over “other” electric vehicles. These drivers may have chosen Tesla because of its large Supercharger network enabling long term travel. Yes there are DC fast chargers available for all electric vehicles, but currently they do not have the coverage of the Tesla supercharger network. Toyota and other manufactures are now in full sprint mode playing catch up to Tesla on the electrical vehicle front. Have they waited too long? No, not if they act quickly. The old-style dealership model has some advantages they could use over Tesla. For one they have dealership networks already in place over much of the country. If they acted very quickly they could turn the dealerships into DC fast charge stations with solar on top. They could also add more amenities such as dining and kids’ areas for drivers to eat while charging or service. These additional amenities could bring in additional revenue offsetting the losses from traditional vehicle service. They would have to break the mold very quickly to change the dealership service mindset and into sustainable fast charging stations with amenities. Texas and other states have significant barriers to entry to convert dealerships to sell and service plug in hybrids and electrics: sometimes amounting up to $100K a dealership to upgrade and train service personnel to handle plug in vehicles. To survive and flourish dealerships and service centers around the country will have to undergo a significant monetary and mindset change. 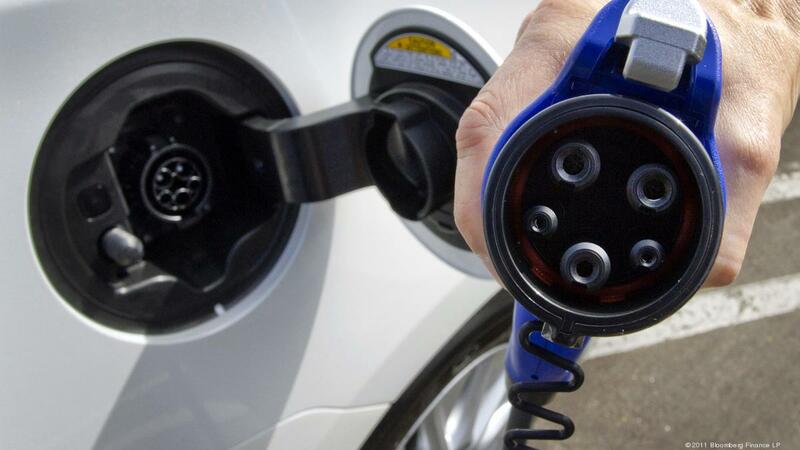 If electric cars are so simple compared to their gas counterparts, why are they so expensive? Do you consider the 30-40% range loss when you are in a cold weather state? Do you consider the cost of replacing batteries … in a Tesla it's running $10K to $15K. I'm in CT and have driven to Philly and back in one tank (380 miles). That round trip would take twice the time in an electric (just for 1 partial recharge). There is a long way to go before electric is affordable and practical for anything other than short commutes. Tesla comes in at too high of a price point when compared to the Prius. Even the Model 3 which they claimed started at $35k but really it starts at $45k. At first I skipped the Prius, went straight to a Volt. I then bought a Prius as our second car but would've chosen another Volt if I could reach two spots with my EVSE. I live in rural Missouri. There's not enough charging stations out here (particularly if I want to drive up to Iowa) to make a pure EV practical for me. And that's pretty much the big thing holding EVs back: that outside of the coasts and cities, there's vast swaths of country without charging support but with plenty of gasoline stations. When that changes, then more of us can seriously look at switching over. Mind, I had hope for hydrogen fuel cells (like the Toyota Mirai). They fuel up much faster than charging an EV, and a fueling station can generate their own hydrogen on site in a pinch. But it simply didn't catch on, and so those stations never got built, which reinforced the lack of catching on. I don't believe the claim that Prius drivers defect to Tesla. Prius drivers are extremely practical, and Teslas are currently not practical to own, considering the extreme high cost, plus the inconvenience of charging on-the-road. I believe Prius drivers are much more down-to-earth than that. I'm a Prius driver. I'd love to have a Tesla but I just can't convince myself to part with $45k to buy one and that's without the self driving upgrade. I was one of the lucky ones that leased the GM EV-1 but I like my Prius even more than that. how many of y'all actually have close to 100k to blow on a Tesla? They're discontinuing the lowest trims to commonize battery kw size and likely will be no less than 100k min buy in. It's unlikely Tesla will have long term defectors unless all the EV owners are rich and retired.